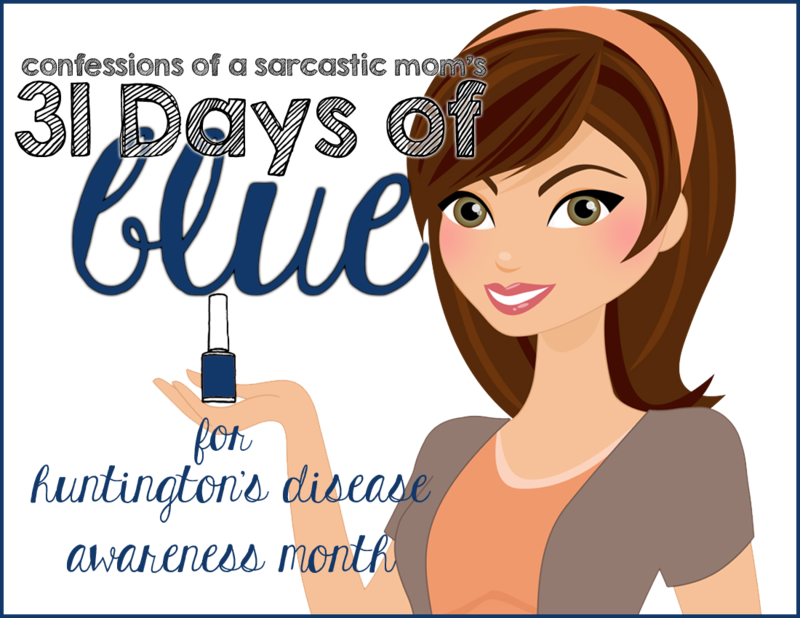 I'm tackling something a little different during the month of May - 31 Days of Blue! That means every day I will be posting a different blue nail polish. 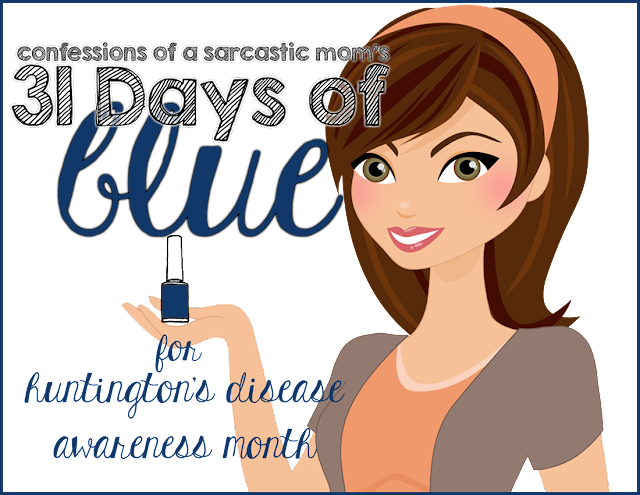 I'm doing this in honor of Huntington's Disease Awareness, a disorder that has affected several generations of my family. What is Huntington's Disease? It's an inherited, degenerative, neurological disease. Think Parkinson's, ALS and Alzheimer's all in one. It used to be referred to as Huntington's Chorea, with the chorea a characterization of the involuntary writhing and jerking of the muscles, with those affected unable to control their movements. Symptoms of Huntington's start during a person's 30s and 40s, but it can present as early as the 20s. The disease is passed down from your parents directly. If one of your parents has the autosomal dominant mutation of the gene that causes Huntington's you will have a 50% chance of having the gene. There are medications to control the disease, but there is no cure or remission. How does it affect me? My grandmother and 2 of my aunts have passed away from complications of this disease, and another of my aunts and several cousins have been diagnosed. My mother has not been tested for the gene, but she is past the "symptom window," so her doctor feels she likely does not have the gene. If this is the case, neither me nor my brothers will have the gene. But we are not certain. Part of me wants the test, wants to know. Another part tells me that I don't want to know because.... what will I be able to do about it? So I continue to hope for research to uncover a cure. 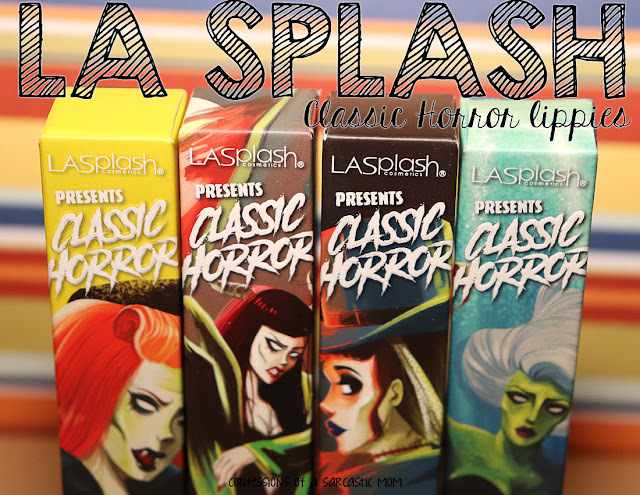 Where to get it: Unfortunately, this was a limited edition Halloween collection polish from several years ago. For more information about Huntington's Disease, check out the Huntington's Disease Society of America.